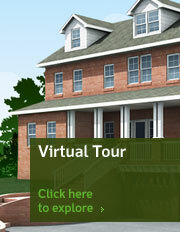 Raleigh, N.C. – Homebuilders and buyers across the country can experience Cherokee’s Mainstream GreenHome through a new, online virtual tour at www.mainstreamgreenhome.com. The interactive tour showcases the cutting-edge features of the Mainstream GreenHome, an idea home that brings green building to a home that looks and feels like its neighbors yet uses less energy and water and provides a healthier living environment. Who Else is Building Green? Chicago Museum of Science and Industry's Modular Green Home. Chicago, IL. Made completely of renewable or recycled materials, the home can be constructed in one third of the time. BASF Better Home, Better Planet is all about homes that are more energy-efficient, faster to build, fortified against natural disasters, more affordable to own and have a lower impact on the environment. RALEIGH, N.C., Jul 09, 2008 (BUSINESS WIRE) -- Cherokee, a private equity firm specializing in brownfield cleanup and sustainable redevelopment, released its annual Sustainability Report. The fifth of its kind, the report summarizes Cherokee's sustainability programs and investments that are at work to revitalize impaired properties here and abroad. The complete report is available at http://www.cherokeefund.com.